How do you contribute meaningfully to the debate about the decisions governments make on levels of fossil fuel subsidies or tax and budgetary decisions that affect us all? And how do you prove (or disprove) that big mega-projects are a good use of taxpayer’s money? Well, part of the answer is through learning to use modelling techniques using publicly available information. Andres Knobel of the Tax Justice Network recently participated in OpenOil’s free online course on fiscal and financial modelling of extractive industries (mining, oil, etc. ), which covered issues such as how to read oil and mining contracts, and the fundamentals of taxing the extractive industries. He worked on the example of Argentina’s flagship shale project in Vaca Muerta – one of the biggest such projects in the world, which you can read about here and here. He demonstrated it’s not viable under current market conditions and stated assumptions – unless the government of Argentina is prepared to maintain oil and gas subsidies of up to $9 billion! Now that’s an amount of money that should make citizens sit up and take notice…and it’s a way of working that can really enrich democratic debate. “After taking extra online courses provided by OpenOil on MS Office Excel and FAST Modeling, I had to choose a specific project and try to model it. 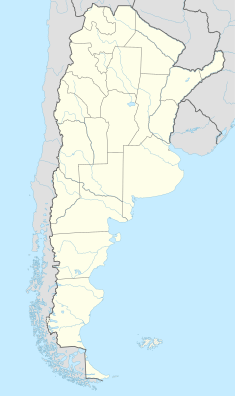 I picked Argentina’s shale gas and oil project in Vaca Muerta, undertaken by a joint venture of YPF (Argentina’s half-state-owned company) and Chevron. My conclusions are based on a model I built in spite of being (only) a lawyer and with very little public data available (see here why this was not an impediment). I managed to build this model based on a template and with the help of expert Alistair Watson and other OpenOil staff. I was also able to informally discuss the project with people from YPF who validated the structure of the model. The model in Excel and a brief report describing it is available here. This whole experience was really enriching. It showed me the importance of modelling, which of course, goes beyond the extractive industries. It all goes to show how, when it comes to budget and tax discussions, models should be the starting point. With a model it is possible to know (and collate the evidence to question) all the assumptions underlying a project or measure, both from the company involved, and the government: for example, what are the current and future expected prices, production, costs, etc.? It is also critical in understanding the impact of the tax structure, so that society may decide whether it wants to subsidise a project, or whether the tax pressure is too high for a project, or perhaps too low, indicating either lack of skills on the part of public officials, or even corruption. Robust models, like the ones prepared by OpenOil’s community enable us to see how any change in the parameters affects the outcome, so as to establish a fiscal regime based on alternative scenarios (according to actual production or international prices). A robust model also allows us to easily adjust the current fiscal regime based on the context as it may change over time: will a higher tax make the project unprofitable? Is a tax incentive really necessary, or is it in fact irrelevant because the project will happen (or not happen) for other reasons? A model is what allows us to cut through the excitement that sometimes surrounds a potential new project with big media coverage, the arguments by the private sector on the need of tax cuts or other incentives – and bring it back down to earth. there is no tax planning by the company (for example, if the company engages in treaty shopping to lower withholding taxes on distributed dividends). In essence, even if a model shows that a project is good to go, these four assumptions should be considered, added to the equation and questioned. It is very important to model prospective proposals in policy to see their overall effects before implementing them. In my recent book “Consequential Macroeconomics”, (write to me at chesterdh@hotmail.com for an e-copy) I have presented some data to show the overall effects of both reducing and increasing income tax on the whole of a national economy. The effects are the opposite of what most people might think. Less taxation has the effect of slowing down the economy whilst more tax speeds it up. This came as a surprise to me too, but when we consider the whole economy and the general effects of these changes, the results are not what (as an individual opposed to paying any kind of tax) we might think. The model I use is a very simple one which manages to cover the whole of our social system without any oversimplification. The calculation for these results is also simplified and by taking suitable assumptions it can and is done by hand (not by computer). I am concerned that most people including the politicians who have at least some control of national progress have not yet properly understood how our social system really works. This book can show them and its model is a vital first step to making this subject a true science.